The Three Rivers Athletic Boosters is an organization formed to support our student-athletes and coaches. 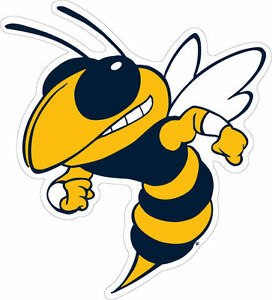 Through our fundraising efforts, such as the Reverse Raffle, we have been able to provide thousands of dollars for new uniforms to help keep player fees down, athletic equipment to keep players safe and competitive, and items such as the automatic flag in the gym and the yellow jacket costume. The Boosters also manage the Spirit Shop and provides treasurer services for all of the sports teams. Additionally, senior athletes whose families are Booster members are eligible to apply for four $500 scholarships at the end of each school year. We hope you will become part of our team! Membership is $20 per family and can be paid through cash, check made out to Three Rivers Athletic Boosters, or credit/debit card at the Spirit Shop. To join the Boosters, download the membership form by clicking HERE. Amazon will donate 0.5% of the price of your eligible AmazonSmile purchases to Three Rivers Athletics Boosters whenever you shop on AmazonSmile.